Plastic Surgeon Rikesh Parikh M.D. F.A.C.S. "Everything went smooth. I was very comfortable..."
"Dr. Parikh changed my life for the better by augmenting my breasts. He's the definition of a perfectionist and does absolutely impeccable work." "Standing tall with confidence for the first time. Being a fitness enthusiast, I always wanted to compete. Thanks to Dr. Parikh, I’m planning to step on stage for the very first time and have started training clients online. Thanks Dr. P for everything!" 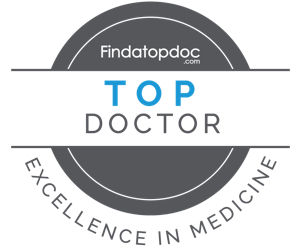 "I was constantly hearing about Dr. Parikh through different resources. This turned out to be the best decision I have ever made..Dr. Parikh is so passionate about his work. I am so grateful for meeting Dr. Parikh because of him, I am more confident and happy with myself than ever before." "Dr . Parikh and his staff are awesome. I'm glad I chose him.. He is very down to earth and listens to your needs. I would highly recommend him!!" "Thank you! Dr. Parikh for the wonderful results of my facelift…I can say that I am 58 and feeling great!" "I was immediately impressed with Dr. Parikh’s knowledge and attention to detail on my first appointment with him…His aftercare was the best care I’ve ever experienced in the medical field." " Dr. Rikesh Parikh is one of the best doctors in the NW! I recommend everybody to go to Dr. Parikh for facial and body surgery."